Win this contest and be whisked away to enchanting DC for two of the best date nights of your life. Enter the Love Is in the Air Sweepstakes and you and a special someone could win a definitively romantic three-day, two-night getaway to DC where you’ll stay in the luxurious confines of the Four Seasons Hotel Washington, DC in Georgetown. The winner will also receive a romantic dinner for two at DC Coast, a gift certificate to ENO Wine Bar, a multi-course wine and food tasting at RIS, a chauffeured moonlight car ride, tickets to the International Spy Museum and Big Bus Tours, round-trip airfare and more. All entries must be received by 11:59 p.m. [EST] Sunday, March 2, 2014. You must fill out all information to be eligible. Don’t worry, Destination DC will never sell, rent or share your name or contact information. Only one entry per person. Airline tickets are valid for round-trip travel to DC within the United States. Official rules. Arrive in style on American Airlines. With dozens of flights to DC a day, American makes it easy to travel to the nation’s capital. Located in the heart of Georgetown, Four Seasons Hotel Washington, DC is the only five-star, five-diamond luxury hotel in the nation’s capital. The hotel is known for providing exceptional service and amenities like a pool, fitness facility and spa. It is situated in a prime shopping area filled with restaurants and entertainment options. Neighboring the Four Seasons Hotel Washington, DC, ENO Wine Bar offers an extensive range of wines, including many local varietals. The wine room provides a vast selection of by-the-glass pours, and it sources locally made chocolates, cheese and charcuterie. Inspired by the variety of America’s coastlines, DC Coast offers flavors from the Mid-Atlantic, Gulf Coast and the Pacific Rim. The eatery specializes in modern American cuisine and is known for its crab cakes, considered by many to be the best in DC. Ask to sit at table 67 for a romantic setting overlooking 14th and K Streets. French-trained chef Ris Lacoste serves fine American seasonal fare at her namesake restaurant, RIS. The menu ranges from small plates to well-appointed entrees and wines selected by Wine Director Leah Cheston. Enjoy the restaurant’s special food and wine pairing for two. Ride in style throughout DC with a drive under the moonlight. The Exectuive Signature Services joy ride includes a sparkling wine and strawberries. Explore the historical DC with this double decker hop-on, hop-off bus tour. Tour highlights include the Lincoln Memorial, the Supreme Court, and other historical landmarks throughout the city. Enter the hidden side of DC at this interactive museum that showcases legendary spies, secret operations and gadgets (think: lipstick pistol), and a cache of spy paraphernalia. Get up close and personal with life-like wax versions of all the U.S. Presidents and a number of recognizable celebrities. Cameras are strongly encouraged. Categories: Contests, Washington, D.C. | Tags: Mid Atlantic Region, Travel Contest, Washington D.C., Weekend Getaway | Permalink. No sir! I didn’t take no pictures! Then I heard the rumor that an NSA employee worked too late one night, and opted to stay the night in the motel. When he awoke the next morning, he looked out the window of his room, and realized his NSA office was in his direct line of sight. Major security issue and serious faux pas! Apparently, the motel operators were made “an offer they couldn’t refuse,” sold the motel, and disappeared. Eventually, the building was turned into a museum to hold the NSA’s extensive collection. I imagine like most people, I laughed the story off until I decided to make a visit. While not a secret, (there are signs on the roadway) the National Cryptologic Museum is hardly well known. I called in advance to set up interviews, and find out if there were any photography restrictions for the media. After jumping through the appropriate hoops, I set out on my way. I knew this wasn’t going to be my usual museum visit as soon as I pulled my car off Rt. 32 onto Canine Road. There was an NSA Security car sitting on the top of the hill, watching all of the cars approach the turn-off. Traffic stopped for a short while, and when it resumed, I eventually passed two more security cars at the bottom of the off ramp. After parking in the guest lot, I walked through National Vigilance Park to the museum. National Vigilance Park and its Aerial Reconnaissance Memorial honors those “silent warriors” who risked, and often lost, their lives performing airborne signals intelligence missions during the Cold War. The backdrop for the park is a semicircle of trees, each representing the various types of aircraft downed during U.S. aerial reconnaissance missions. Since I had called in advance, I had been specifically warned where to stand to shoot any images, and fortunately, I followed the instructions to the letter for I hadn’t been out of my car more that two or three minutes when a helpful security agent pulled up, strolled over and asked to see my camera. After a quick check, chat and call up to the museum to verify my credentials I was allowed to go on my way. I you visit, make very, very sure you don’t point your cameras toward the NSA complex. Still, over 500,000 visitors from around the world visit the museum each year, and they manage to get in and out fine. 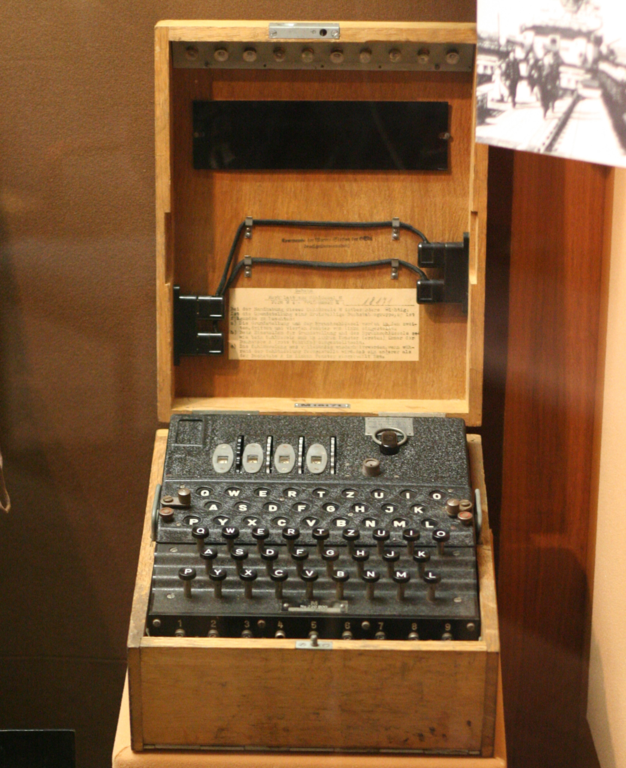 The NCM collection contains thousands of artifacts, including numerous working World War II German Enigma machines (two of them are available for visitors to try out), and a Navy Bomb used to break it. Displays discuss the history of American cryptology and the people, machines, techniques, and locations concerned. Initially housing NSA artifacts for viewing by employees, the museum quickly developed into a collection of U.S. cryptologic history, with some artifacts dating back to pre-American Revolutionary War times. Donations to the NCM Foundation are accepted. Photography is allowed inside the museum; however, flash photography is prohibited in certain areas of the museum due to the age of some of the artifacts. Group tours should be scheduled in advance. Categories: Maryland, Washington, D.C. | Tags: Code Breaking, Codes, Cryptology, Enigma, Maryland, National Cryptologic Museum, National Vigilance Park, NSA, Spies, Spy Planes, Washington D.C., World War II | Permalink. While the SR-71 Blackbird evokes images of gallant pilots silently cruising through jet-black nights, they are not the only successful practitioners of aerial espionage. Camera toting homing pigeons have been a spy’s best friend since the earliest days of espionage. Distinguished by their speed and ability to return home in any weather, pigeons carried tiny cameras high above enemy lines. As the birds flew, the cameras continuously clicked away, snapping pictures to be developed and interpreted when the pigeons reached their destination. Of the hundreds of thousands of pigeons sent through enemy fire, 95% completed their missions. Learn more about these tiny, yet highly successful agents at The International Spy Museum, which features the largest permanent collection of international spy-related artifacts on public display. The museum blends intriguing, interactive displays with a unique and entertaining approach to storytelling. For a nation that grew up watching movie and television spy thrillers, the connection between Hollywood and espionage is inescapable. The CIA and FBI have employed Hollywood make-up artists as disguise experts and real-life spy tools first showed up in a screenplay or on a prop designer’s drawing board. One Bond car, a 1964 Aston Martin, served as inspiration for real life high-tech gadgetry used in treacherous field operations. (1964) The Aston Martin DB5 first appeared in the 1964 James Bond thriller Goldfinger. The ultimate spy car came fully loaded with machine guns, tire slashers, bulletproof shield, oil jets, dashboard radar screen, rotating license plate, and ejector seat. The Bond car not only captured the public’s imagination, but inspired intelligence agencies to incorporate similar features into high-security vehicles used in dangerous areas. Courtesy of International Spy Museum. 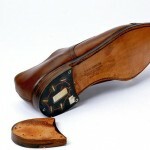 The 1960’s KGB issued shoe with heel transmitter used to monitor secret conversations is a perfect example. A transmitter, microphone and batteries were imbedded in the heel of a target’s shoe. Someone close to the target (usually a maid or valet with access to the individual’s clothing) would lay out the rigged shoes for the target and pull a white pin from the heel to activate the transmitter. The target would then become a walking radio station, transmitting all conversations to a nearby monitoring post. 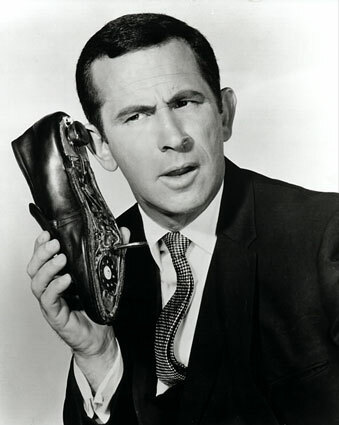 This item, used in real life, looks suspiciously like the infamous shoe phone worn by comic-spy Maxwell Smart. You can even see if you have what it takes to become an intelligence agent by adopting a Cover identity designed to help you complete your mission at the International Spy Museum. New identities, supplied in the “Covers & Legends” room, provide background information regarding your new name, gender, age, country of residence, occupation, destination, reason for visit, and planned length of stay. Those facts will be necessary if you want to safely pass through the digital border guards. Also onsite is one of the most interesting Museum shops I have ever visited. They have everything from night scopes and watch cameras to decoder necklace party favors. Portions of this story were published in 2005 in the News Journal under the byline of Gail A. Sisolak. Categories: Washington, D.C. | Tags: Adventure Travel, Aston Martin, Bond Car, International Spy Museum, James Bond, pigeon cameras, shoe phone, Spies, Washington D.C. | Permalink. Negotiate the shady streets of Washington, D.C., the Spy Capital of the World. In the realm of film and fiction, our nation’s capital looms large as the center of international espionage. The truth is more sinister, enticing and surprising. Your mission, should you choose to accept it, is to unravel the mysteries of covert operations lurking around every corner. Explore the types of aerial, satellite and electronic surveillance equipment countries around the globe have used to gather information about their adversaries at the National Air and Space Museum Steven F. Udvar-Hazy Center near Dulles Airport. Eyes in the sky have been deployed since the earliest inception of flight and the Steven F. Udvar-Hazy Center offers a unique look at historic, high-tech equipment. Reconnaissance was one of the first priorities of spaceflight. Photography from spy satellites is a significant legacy of the Space Race and the Cold War. From 1960 to 1972 in a reconnaissance project code-named Corona the United States routinely photographed the Soviet Union from space. The Corona project rivaled in difficulty the public drama of sending men to the Moon, but its successes are generally unknown. Spying from space is top secret. Corona was a response to the fear of nuclear attack by an intensely secretive Soviet Union. America’s leaders faced an urgent question: what were the Soviets actually doing behind the Iron Curtain? Corona provided vital answers. Other examples of spy tech include the WWII-era Westland Lysander. Their strange appearance was matched only by their mysterious comings and goings, usually in the dead of night. While the Lysander pilots and crew, and their “special cargo,” are now free to talk about some of their missions more than fifty years after they occurred, most of the operational record on this amazing airplane remains tightly locked in official secrecy. As WWII entered its third year, the ultimate Lysander mission took shape. The Special Operations Executive formed three squadrons of these slow-flying aircraft, and began to fly the Lysander to aid the various resistance movements in occupied Europe. They dropped ammunition, explosives, radios and other equipment, and transported agents to and from the continent. 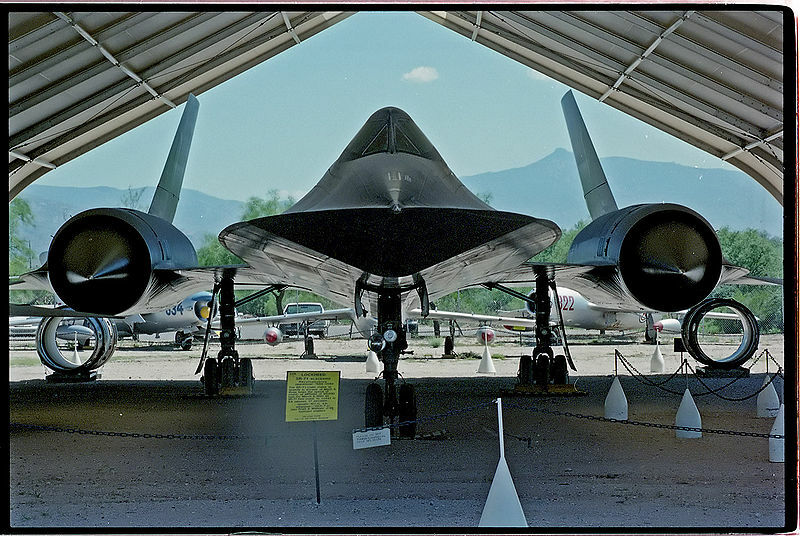 One of the center’s showpieces is the Lockheed SR-71 Blackbird, a sleekly sinister, high-speed, high-altitude reconnaissance aircraft famous for its Cold War activities. No reconnaissance aircraft in history has operated in more hostile airspace or with such complete impunity as the SR-71 Blackbird. The Blackbird’s performance and operational achievements placed it at the pinnacle of aviation technology developments during the Cold Way. The airplane was conceived when tensions with communist Eastern Europe reached levels approaching a full-blown crisis in the mid-1950s. U.S. military commanders desperately needed accurate assessments of Soviet worldwide military deployments, particularly near the Iron Curtain. When the SR-71 became operational, orbiting reconnaissance satellites had already replaced manned aircraft to gather intelligence from sites deep within Soviet territory. Satellites could not cover every geopolitical hotspot, so the Blackbird remained a vital tool for global intelligence gathering. On many occasions, pilots flying the SR-71 provided information that proved vital in formulating successful U. S. foreign policy. Security Screening: All bags & visitors will be screened. Portions of this story were published in 2005 in the News Journal under the byline of Gail A. Sisolak. All copyrights reserved. Categories: Washington, D.C. | Tags: Spies, Spies in Washington D.C., Spy Museum, Spy Tours, Washington D.C. | Permalink.